The Italian superstar signed for a flawless six under 66 around Augusta National on Saturday, enough to move him to 13 under for the opening major of the year. Sunday will see the Champion Golfer of the Year pair up with Woods and Tony Finau in the final group. Molinari continued his superb form this week and has now gone 43 holes without dropping a shot. Yep, you read that correctly. His only bogey of the tournament came at the 11th on Thursday, seemingly an eon ago given what’s transpired since. 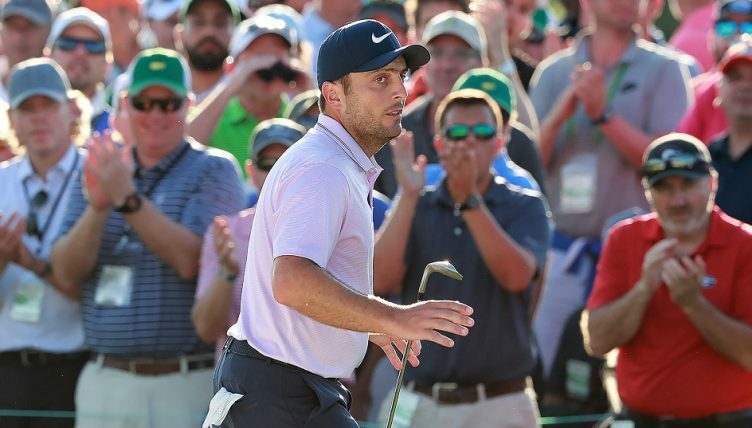 After making the turn at two under, Molinari’s prayers were answered when he went a four birdie run, which included gains at the back-end of Amen Corner on the 12th and 13th. While his plan is to produce more of the same come Sunday, Molinari is acutely aware of the Tiger breathing down his neck on both the course and in the betting markets with Betway. “My plan for tomorrow is to go out and do the same but I think there’s going to be a few guys trying to mess up with my plan,” the world number seven told the press. Another concern for Molinari is a charging Finau. The tall American equalled the lowest ever front nine at Augusta, making the turn with a six under 30. And it could have been even better, with his eagle on the eight inches away from being an albatross. Finau had a two stroke lead at one point and signed for a tied round-of-the-day eight under 64, but Molinari and Woods chased him down in the afternoon. Further down the leaderboard, Koepka endured a tumultuous round, with five birdies and four bogeys in his opening 14 holes, but a strong finish saw him move to solo fourth on ten under. Englishman Ian Poulter and Webb Simpson are a shot back on nine under after rounds of 68 and 64 respectively.